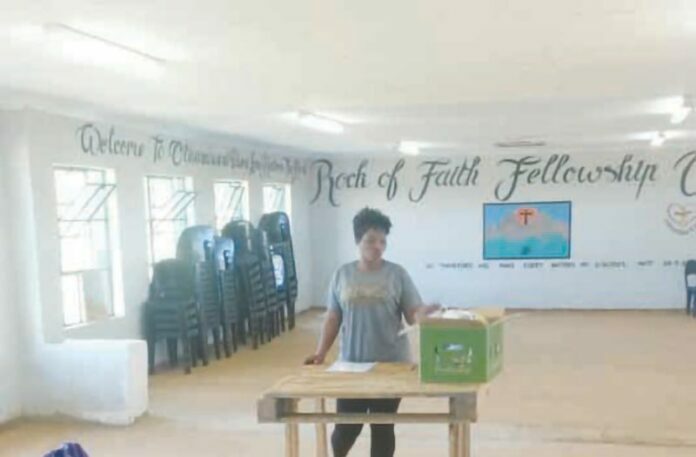 On Friday, 27th April, Pearl from Rock of Faith Ministries trained 12 Ladies at Othandweni (the school at Heyshope Dam) on how to use the Asidlale Box. Pearl works with Pastor Phillip Nobela, and is involved in the DBS (Discovery Bible Study) Programme that is running in the Heyshope and Driefontein communities. Through the DBS, we are able to introduce other ‘Access Ministries’ to the Communities such as Farming with Vegetables, Pig Farming, Skills Training (Carpentry & Crafts), and Asidlale Training. This training enables them to generate an income for their families, and become self-sustaining in the process. The training was attended by 12 ladies in total, of which 5 were ‘Gogos’ (grannies). These ladies will now be able to use the Asidlale Box to play with their children/grandchildren every day, and teach them to colour in, play, count and build with blocks. The Asidlale Boxes are ideal in that they can be used in individual homes, and as an additional play tool in the rural crèches. Pearl has assisted us with Asidlale Training on many occasions, but this was the first time she has ‘flown solo’ and done training on her own. We are immensely proud of how she has grown, and of her enthusiasm for training. Pearl is going to become a very important Asidlale Base for TTN/Fontana at Othandweni, and will enable us to train many ladies in this area, and reach the children that will benefit from the fun and play aspects that the Asidlale Box provides.